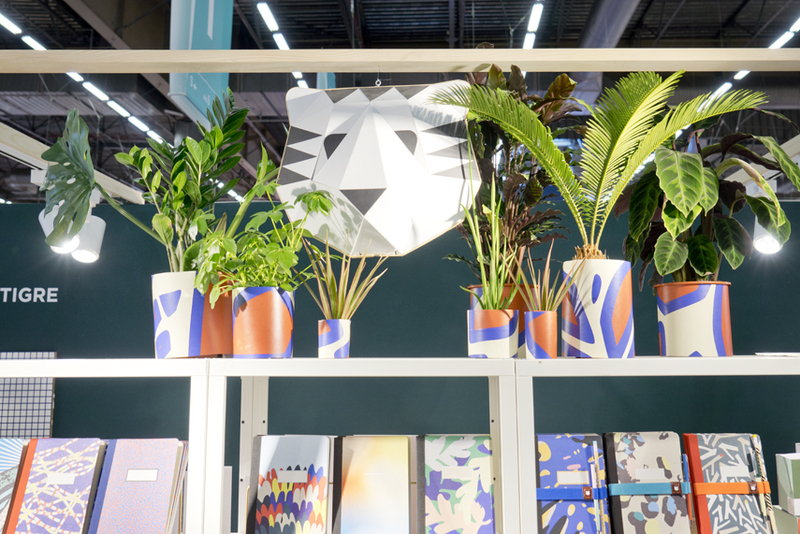 We are just back from the Maison & Objet design show in Paris and we were on the hunt for new plant trends for 2017. 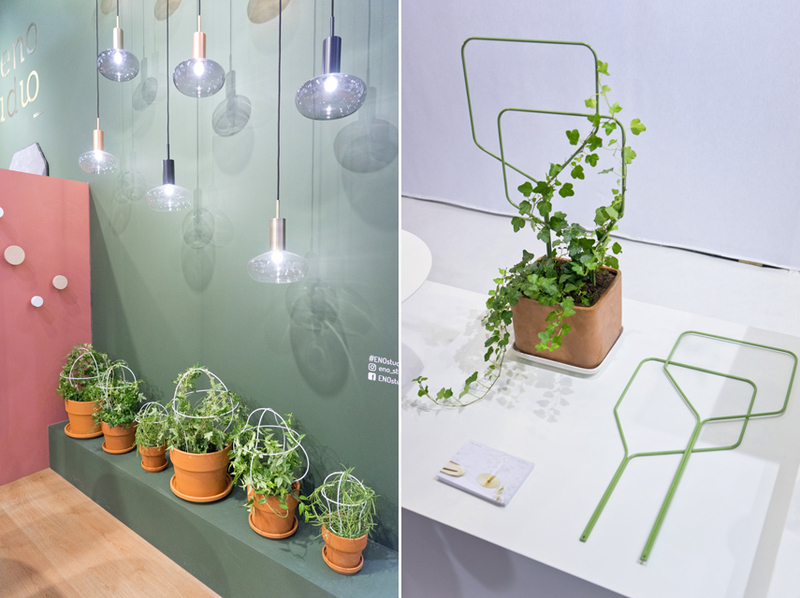 Exhausted but happy we brought back quite a few green design highlights from Paris. 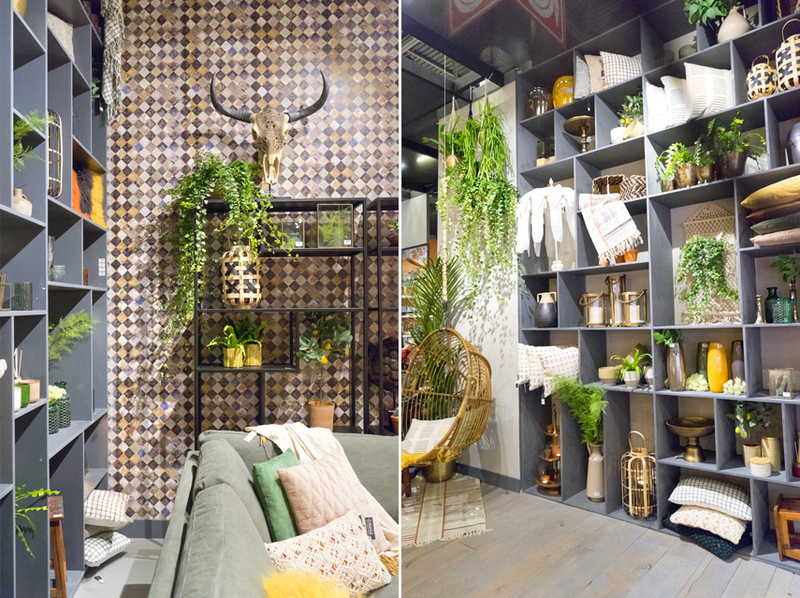 Let us start with one of our absolute highlights: The lush boot of French high-end furniture brand Cinna France. 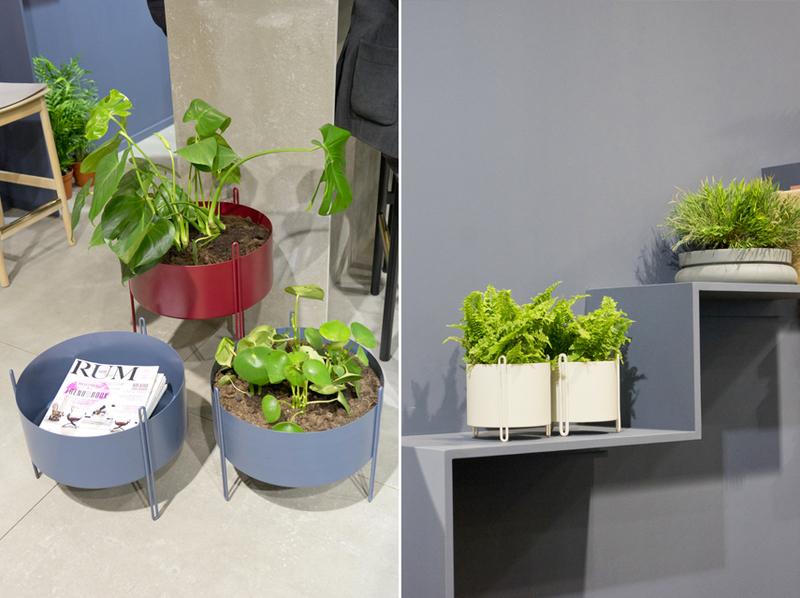 Unlike other high-end design labels, Cinna features very vibrant, contemporary and urban furniture. 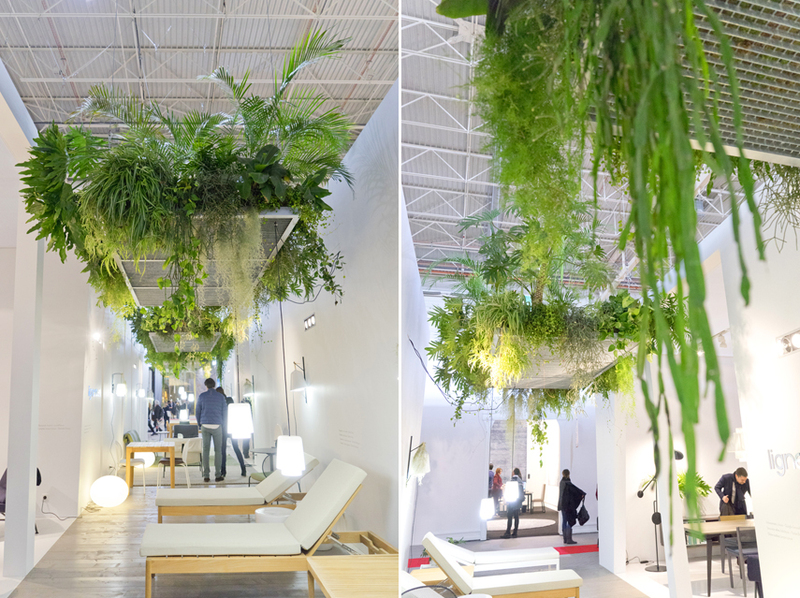 But it also featured a breath-taking hanging garden. 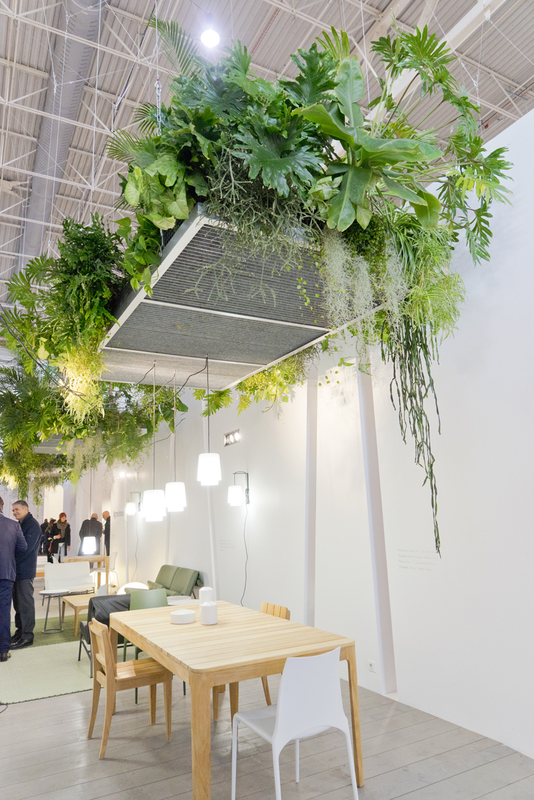 Three hanging grids, each 2,000 kilos heavy, were abundantly planted with lush greens. 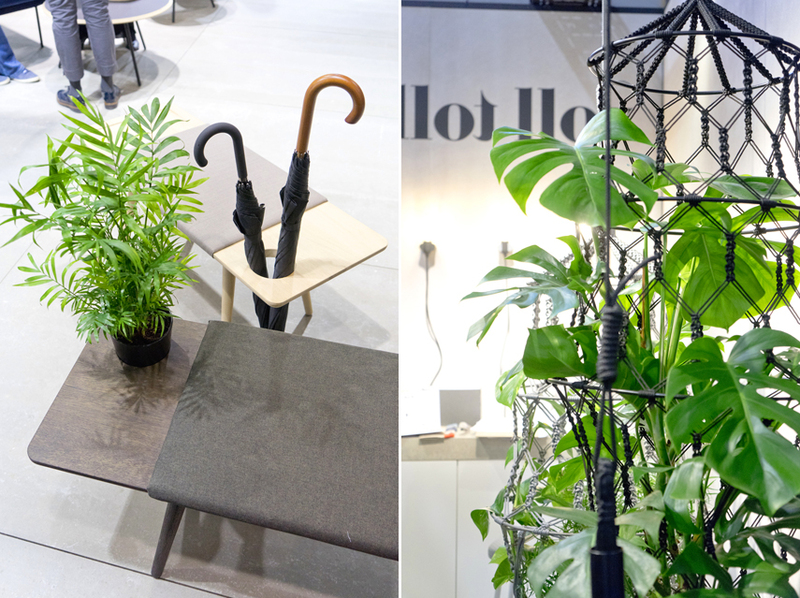 Palms, ferns, philodendrons, Rhipsalis and other leafy plants invited the visitor to come and discover design under a green canopy. 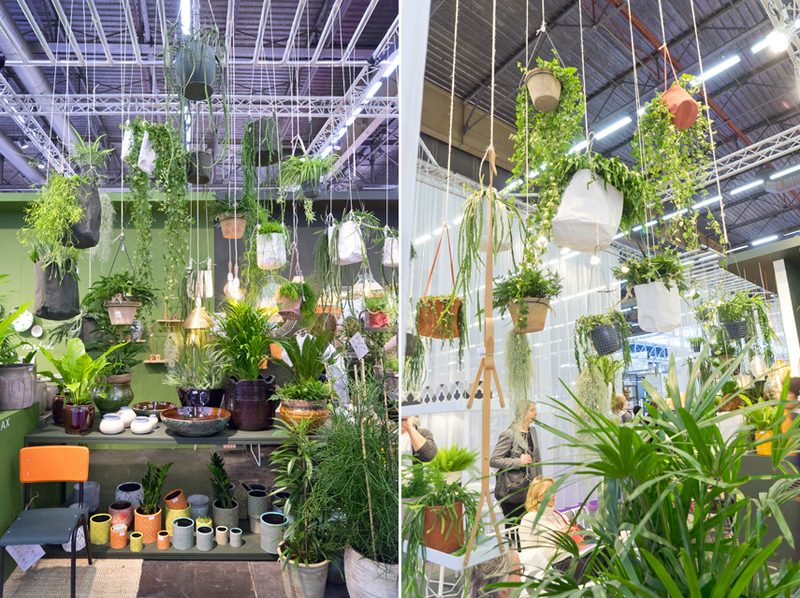 Honestly, wouldn’t you like such a fantastic hanging garden if you had a big and spacious home? 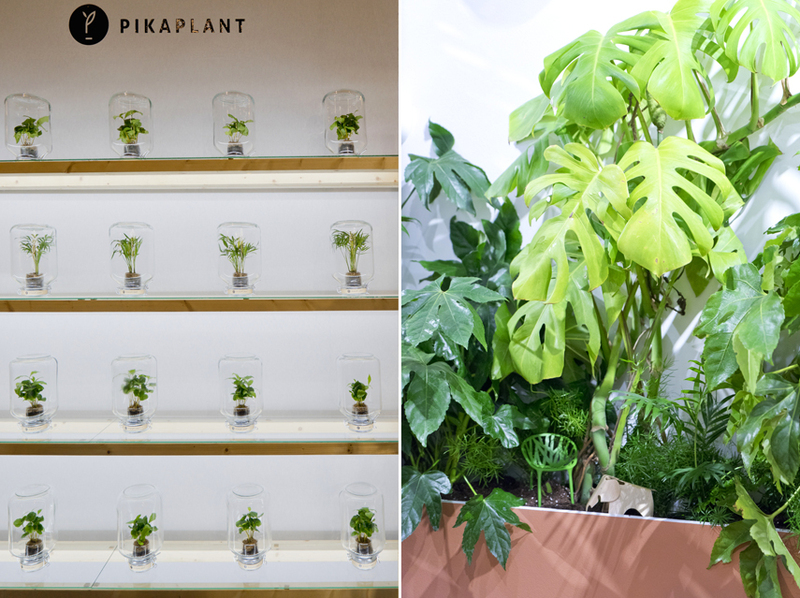 We’d be very happy to have one! 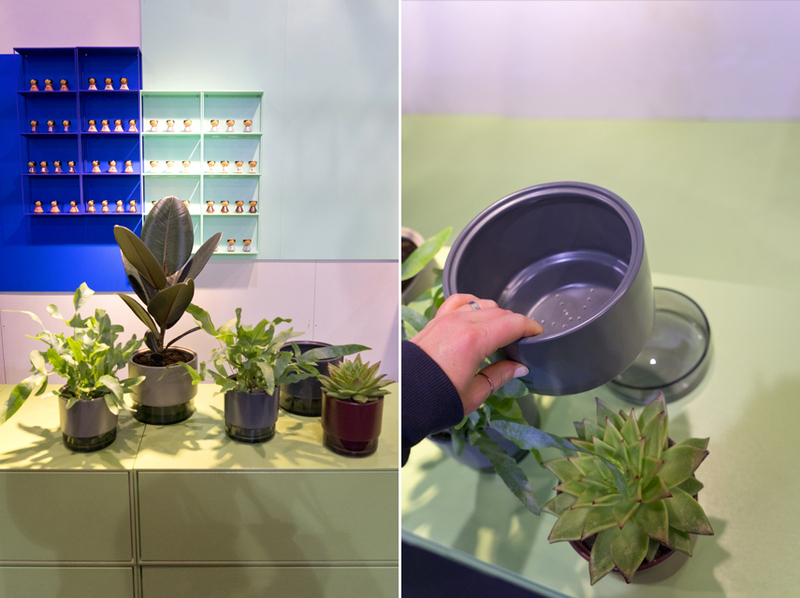 But let’s have a look at more green design and plant discoveries from Paris. 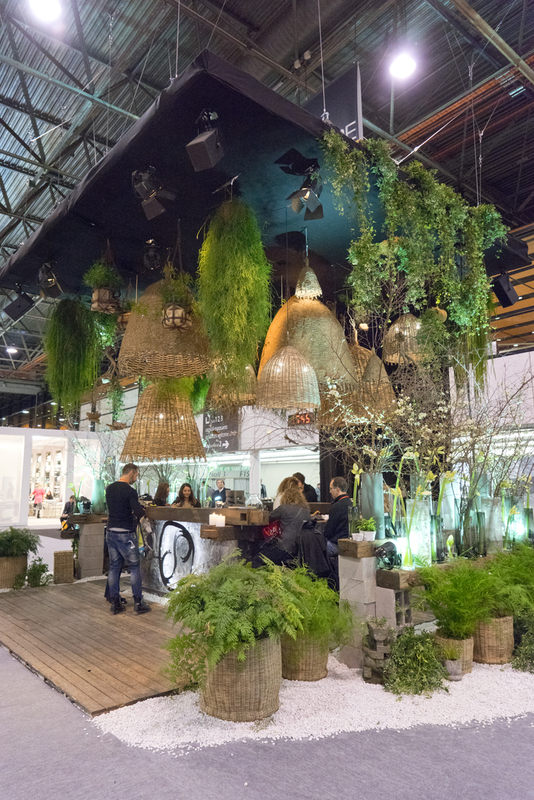 Sempre from Belgium created a jungle bar in the middle of one of the halls at Maison et Objet. 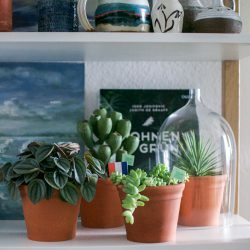 Makes you want to hang out for hours and drink cocktails, right? 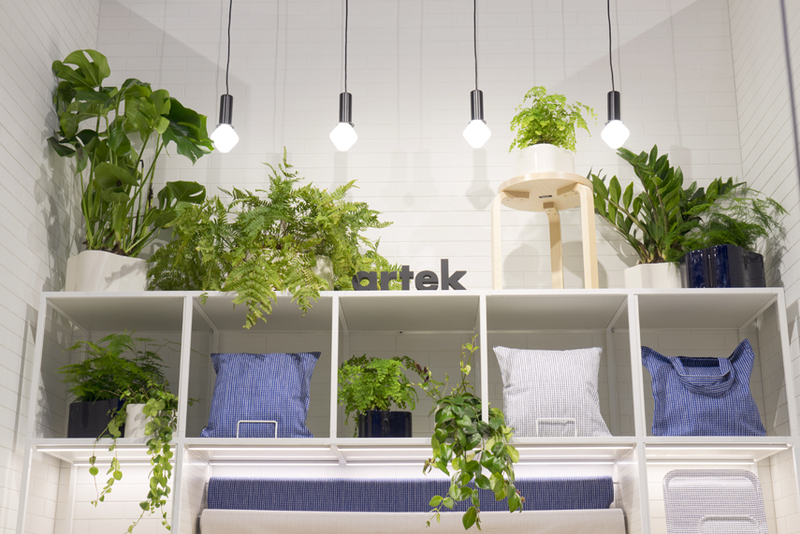 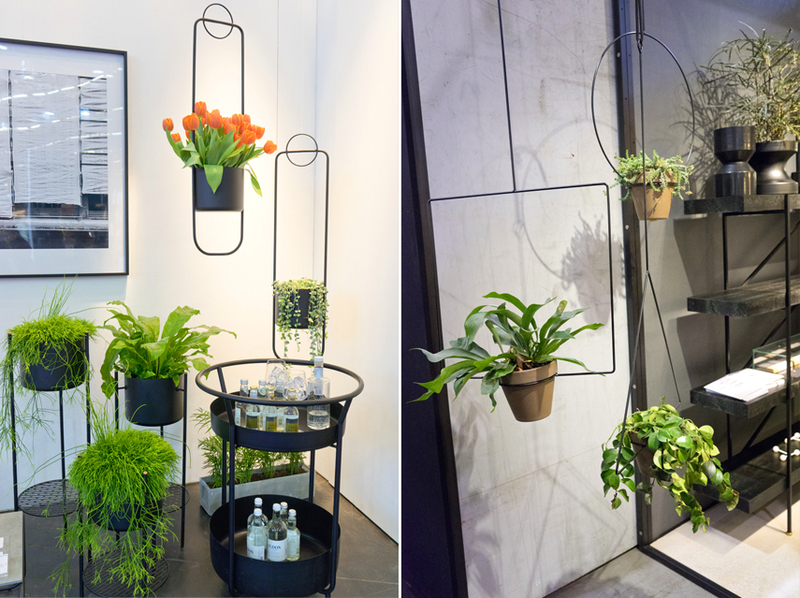 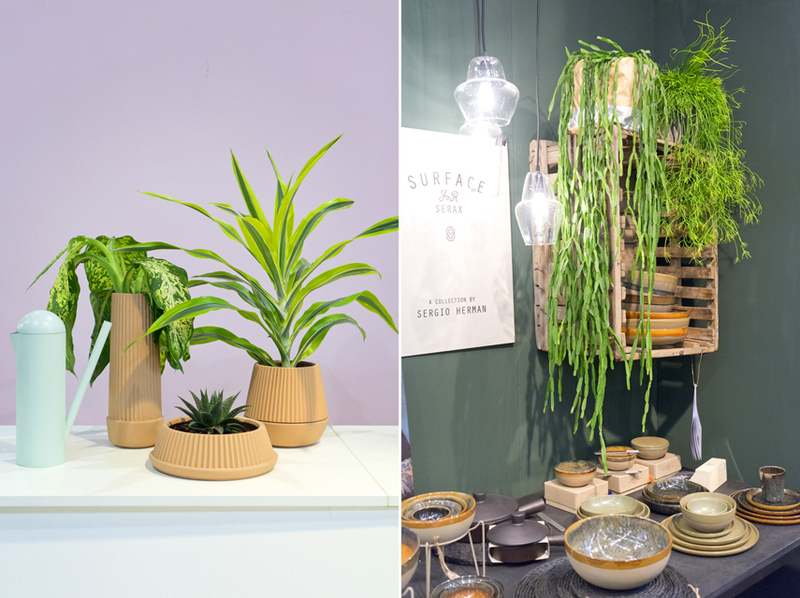 We hope you enjoyed our little green design round-up from this year’s Maison & Objet show. 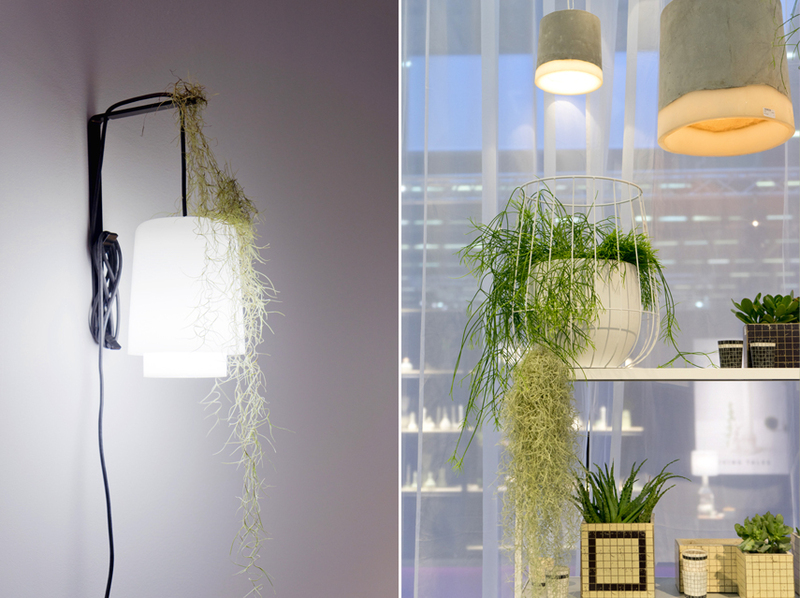 More design discoveries can be found on Happy Interior Blog and JOELIX.com over the next days too.